As Dave Seaman & Steve Parry’s highly regarded Selador Recordings imprint approaches its 100th release, celebrations are afoot to mark the centenary with a release befitting of the occasion. 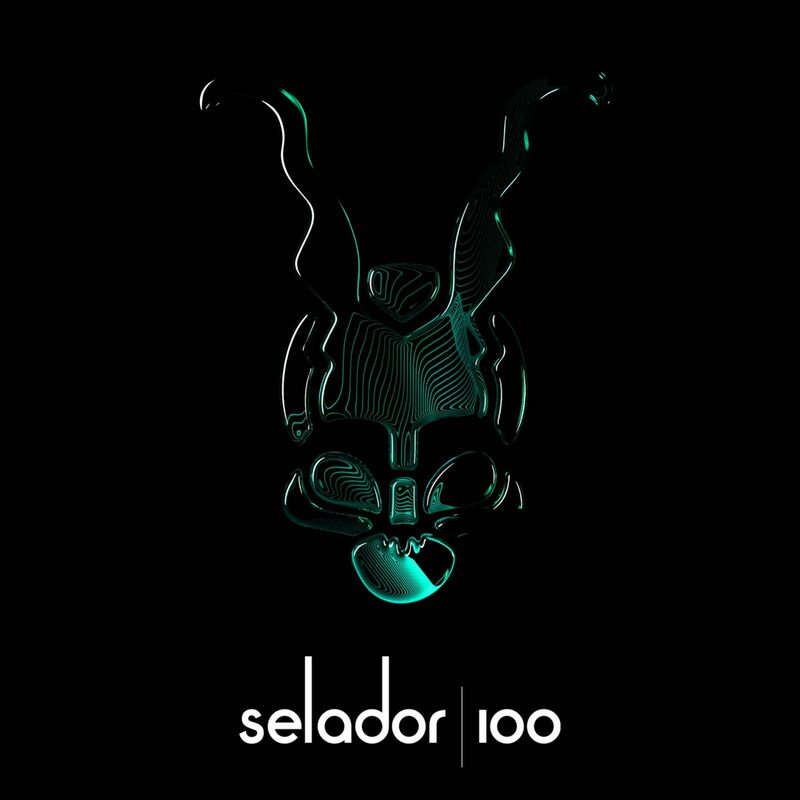 Selador has carved out a reputation as providers of the finest in Melodic House and Techno as this milestone release reaffirms. For SEL100, a crack team of remixers have been assembled to tackle some of the label’s landmark back catalogue that had previously not been remixed. Until now! Stand by for D-Nox & Beckers, André Hommen, Doc Martin, Petar Dundov, Moonwalk and Kotelett & Zadak getting to grips with Dave & Steve themselves, Cristoph & Quivver, Guy Mantzur & Lonya, Gorge & Joeski and Luke Brancaccio & Tim Healey. It’s a mightily impressive cast whichever way you slice it. Look out! It’s hard to believe that it’s been 5 years already since we smashed a metaphorical bottle on the side of the good ship Selador and set sail upon the choppy waters of the independent record label business, but that’s where we’re at. To celebrate this milestone we wanted to do something a little bit special and so it was decided (on a beer mat, over a beer, like so many of our best laid plans) to assemble a team of artists who’d helped us get thus far (plus a few added cameos for good measure) and ask them to collaborate. The result is a statement of just how far we’ve come. 24 esteemed artists creating 12 tracks across 3 EPs. This first EP sees 4 mouthwatering pairings. From the Progressive heavy hitters Quivver & Cristoph teaming up for the slamming wall of sound that is ‘In Name Only’ to the deep Tech wizardry of ‘Friendship’ by Robert Babicz & Stelios Vassiloudis through the inspired, effortless chic of Just Her & Raw District on ‘Three Hearts’ finishing with the ‘knock-it-out-of-the-park’ Techno monster of Luke Brancaccio & Tim Healey’s ‘Voices’ featuring Kiki Cave, it’s an awesome foursome. And this is just the tip of the proverbial iceberg. 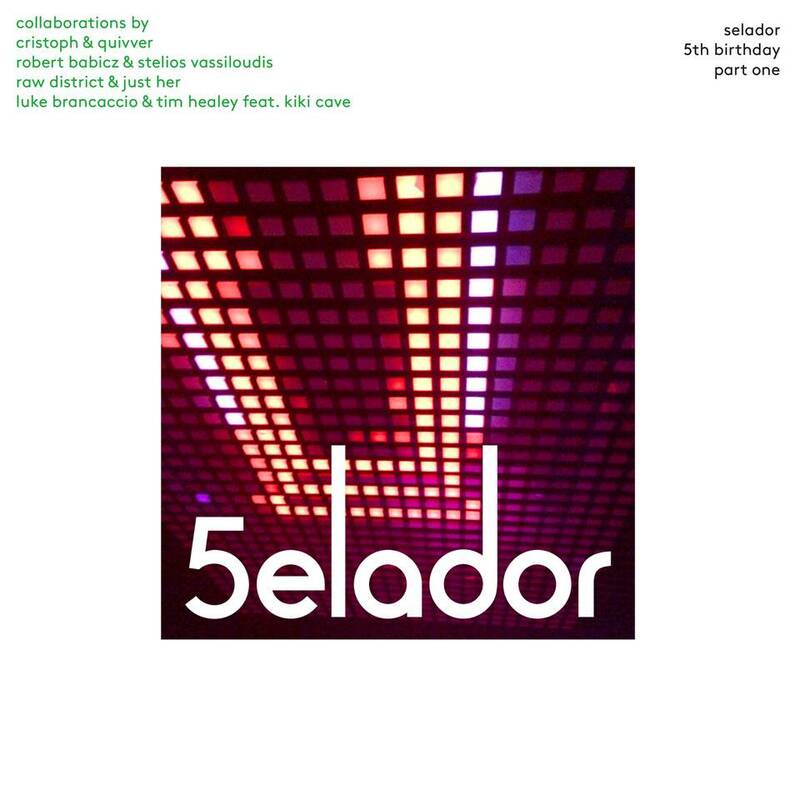 So please raise your glasses and join us in a toast to 5 Years Of Selador. Or even better, come join us in person at Watergate, Berlin on April 26th for the launch party. We’ll even throw in some cake (though not in the Steve Aoki sense obviously). Hello again and a huge Seladorian sized Happy New Year to one and all. After what was a momentous 2015 for us here at Selador Towers, we’re now primed and ready to make this year even bigger and better. Here to prove it, starting as we mean to go on, is our first release of 2016. 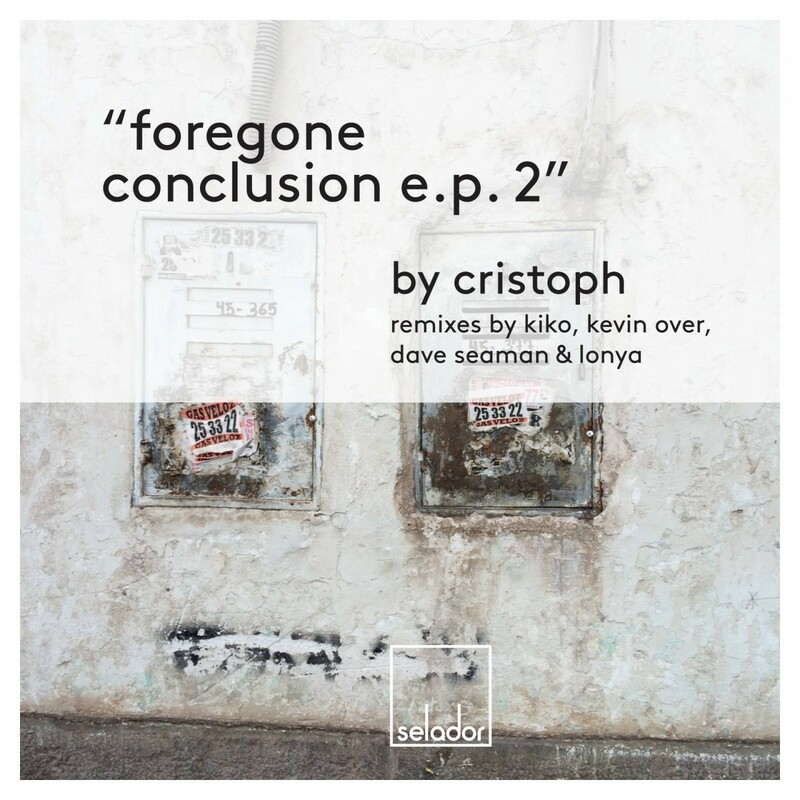 As regular receivers of our music you should already be familiar with the Forgone Conclusion EP by label fave, Cristoph which we released last summer and you may also remember that somewhat unusually for us, the release came with no remixes. Well, we thought it was about time we put that right. And so, in all it’s remixed glory, here is the Forgone Conclusion EP – Part Two. First up a producer that has been making plenty of noise recently with his releases on the likes of Suara & Noir, the one and only, Kiko. The Frenchman tackles the lead track in his own inimitable signature style, overflowing with zest and prime time intensity. The sound of a man at the top of his game. Next our very own Dave Seaman returns a favour after Cristoph remixed Dave’s ’Naughty Forest’ release a little over a year ago and our head honcho does us proud on ‘Digging In’. Main room melodics with just a touch of wonk, it’s a belter and no mistake. Then, it’s the turn of Kevin Over on ‘Moments’ who throws off the shackles of his trademark basement house sound and dons his alternative cap to embark on a journey of dark acidic retro flavoured electronica. Heads down for some proper left of centre gear. And finally, fashionably late to the party, we welcome Lonya. The resident DJ of the the legendary Cat & Dog club in Tel Aviv gives his deep atmospheric Techno take on ‘Time For Change’. A brooding slab of darkness for those late night floors. So there you have it, Cristoph and friends, prepared in 4 very different flavours to suit every palate. Tasty business, whichever way you slice it. Roll up, roll up. Gather round people. 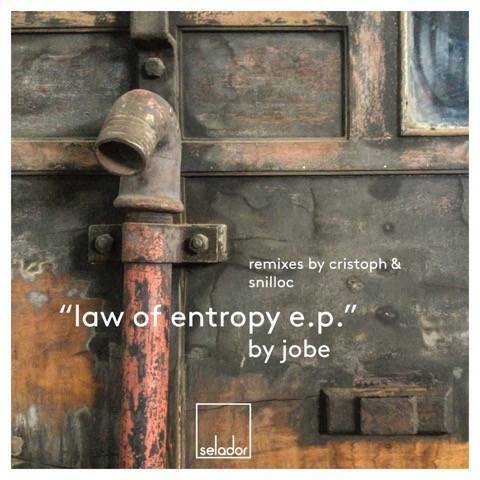 It’s time for another first class delivery from your new favourite label 😉 Next up on Selador Recordings, we’re pleased to welcome Simon JOBE into our ever growing brood who comes armed with 3 lethal weapons that might just give meaning to the second amendment! You may already be familiar with JOBE through his previous releases for the likes of Akbal Music or Connaissueur Recordings but if not, don’t worry, just acquaint yourself with this EP by way of an introduction. Law Of Entropy kicks things off, setting the mood with it’s brooding low end, rising crescendos and captivating synth patterns. Executed with class. Fellow Northerner, Cristoph is first up on the re-rubs with yet another lesson in remix mastery as he carefully retains much of the original’s charm whilst turning the energy levels a couple of notches. A main room assignment. Next comes ‘Dissonant’, full of drama, swirling atmospherics and a breakdown that’s sure to cause it’s fair share mayhem. Take cover! Then it’s the turn of Hungarian housemaster, Snilloc who reinvents ‘Dissonant’ as a super stylish, specimen of chunky modern house music. Dirty bomb! And finally, the curtain call comes courtesy of ‘Critical Mass’, the most intense of the 3 originals, with it’s relentless arpeggios and snarling bass. Proficient, polished and on point. Basically, you’re looking down the barrel of 3 high grade original productions accompanied by a couple of on-target remixes. Another fine collection of ammunition for your arsenal.